The Association of Flight Attendants-CWA (AFA-CWA) is the flight attendant union organized by flight attendants for flight attendants. AFA represents nearly 50,000 flight attendants at 20 airlines, serving as a voice for flight attendants at their workplace, in the industry, in the media and on Capitol Hill. Simply put, the goal of flight attendants who become part of AFA-CWA is to negotiate better pay, benefits, working conditions and work rules at their airline, and to improve their safety on the job. 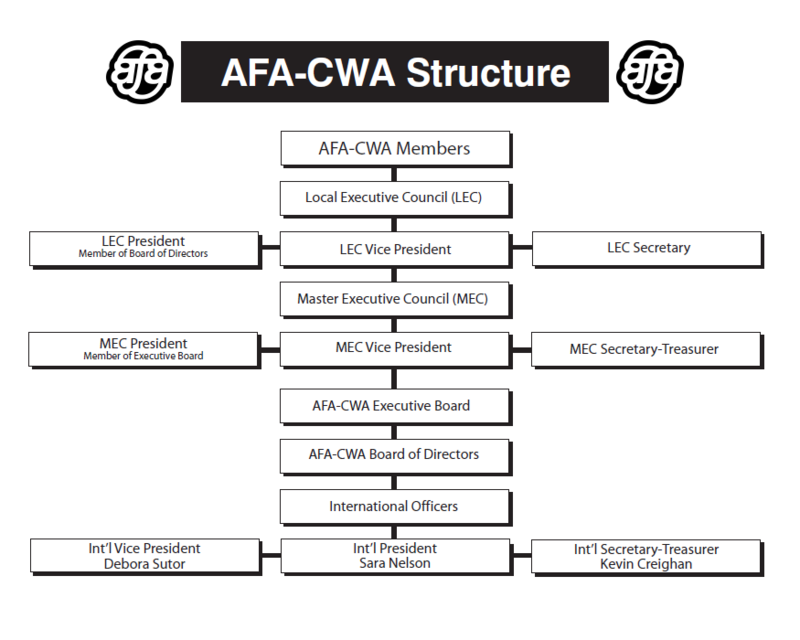 AFA-CWA is the only flight attendant union that solely represents flight attendants' concerns within the AFL-CIO, the 13-million-member American labor federation.